Sixty nine years ago today, my great great uncle received word of the attack on Pearl Harbor from a place that would change the course of history -- he was at his desk as Superintendent of West Point, the United States Military Academy. His journey as a leader had just taken a pivotal turn, and the students and educators whom he was leading were about to face a challenge as profound and real as they come. Others in his position might have issued orders, articulated objectives, conveyed words of inspiration, and returned to their desk. Uncle Bob, however, chose instead to say, "Follow me." 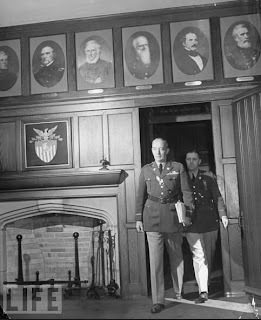 In the aftermath of the attack, Robert Eichelberger left for the Pacific and took command of the 8th Army. He led men into battle, digging into the trenches with them, and insisting that those around him call him by his first name. "I'd just as soon you called me Bob," Time Magazine reported him saying to an aide. Respect was never lost, and in fact, lives may have been saved, as an audible "General" could have drawn additional fire from the enemy. 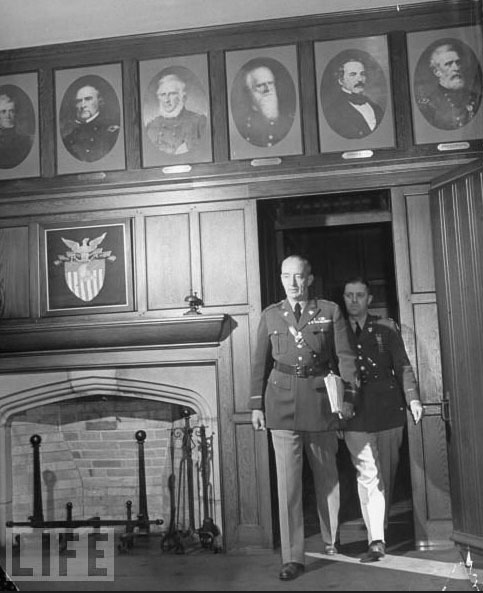 Eichelberger's leadership produced extraordinary results. 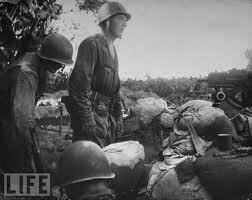 His men seized the first Allied victory in the Pacific theatre at the Battle of Buna. 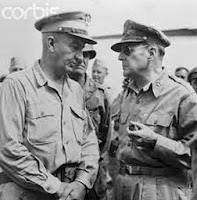 Though he was never one to accept praise, Uncle Bob went on to make the cover of Time Magazine, ascended to become second in command to General Douglas MacArthur, and ended up retiring as a four-star general. Throughout his journey, he continued to lead others in learning, training, and advancement and attributed every accolade to those around him. This humility originated from the little boy he once was, the youngest of four brothers, who was often labelled an "underdog" and whose own father doubted his capacity to be accepted by West Point as a cadet. "I doubt you'll get in," he was told. Imagine if he had heeded those words. I often think, especially as the Pearl Harbor anniversary returns, that if I can emulate in my own environment a minute fraction of my uncle's leadership capability, I will be thrilled. To move beyond doubt and cynicism, to rise to challenges, to lead by example, to build trust and earn respect, to connect with those in your care with humor and humanity, to honor everyone who contributes to your team's progress, is to have learned from his example. I will return to school tomorrow, and while it is a vastly different era and context from 1941, I will take to heart and put into action my uncle's lessons. Whatever "battles" I face, whatever challenges cross my desk, I will rise to the occasion with conviction and if ever I feel inclined to tell others what they ought to be doing, I will reflect on my own actions and invite those who are willing to follow my lead. My only struggle with a relative like than would be that he makes me feel so very small. Wonderfully written. What a beautiful post and tribute to your great uncle. In education, we often feel like we are in the trenches, leading others who might not want to be led in the way we are being forced to lead them by our system. I love the way you focus on the importance of reflection at the end of your post. Many times our convictions can either fire us up and help us address the needs of our students or frustrate us as we hit the walls of a system that can be limited. Reflection helps us discern the next steps. Your uncle's story is a wonderfully powerful example of leadership. Thanks for sharing.